LaTisha Staten joined Holt Lunsford Commercial in January 2017 as Senior Vice President of Management Services for Houston. LaTisha is responsible for overseeing approximately 13 million square feet including Office and Industrial product in various Houston and Austin markets. LaTisha began her career in commercial real estate with Trammell Crow Company in 2002. Since that time, LaTisha has had experience with multiple product types in the Houston area including industrial, office, retail and association portfolios. LaTisha served as Property Manager with Midway Companies from 2005 to 2012. LaTisha was promoted to Senior Property Manager in 2011 and had oversight responsibility for the day to day operations of approximately 650,000 SF of office and retail at CityCentre, a mixed use project located in West Houston consisting of office, retail and residential. LaTisha served as VP, Senior Property Manager with Transwestern from 2012 to 2016. 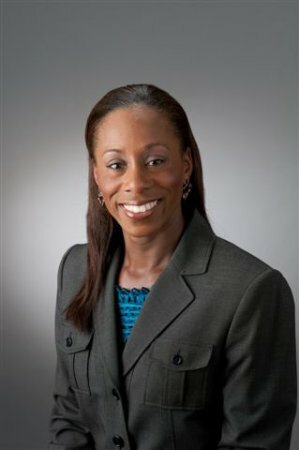 LaTisha was responsible for overseeing all aspects of Industrial Property Management for a portfolio of assets totaling 9.9 million square feet with direct management of 1.9 million square feet, which include portfolios owned by Buckhead Industrial-Koll Bren, St. Paul Fire and Marine Insurance Company, BlackRock and The Realty Associates. LaTisha has received a BS from the University of Nebraska, Lincoln. LaTisha is an active member of IREM Houston and is currently a CPM candidate. She is also a licensed Real Estate Salesperson in Texas.